Located on the border of Montclair and Pomona, we offer delivery to Inland Empire, LA and Orange Counties. $39 down and you can take your new mattress home tonight. I purchase a queen size pillow top mattress and I could not be happier. The quality is great and the cost was even better. If you’re in the market for an affordable mattress this is definitely the place to visit. We scheduled an appointment and met with Mike...couldn't have been there more than 30 minutes and left with a mattress set financed and strapped to my vehicle. Would definitely recommend. Took great care of us on our purchase that will last us the next 10 years! They addressed all our concerns and answered all our questions! Highly recommend and will definitely be back for our kids beds in the near future! The seviser was great my daughter loves her bed and it's a great price. Mike was very helpful and answered all my questions. Mike was very helpful!. I got a Queen size with a boxspring and am very pleased with both the mattress and customer service! All my questions were answered and I was able to set up a payment plan with only putting $40 down. Being a young adult, saving any kind of money is very important and being able to take home my new mattress after only paying $40 down is super helpful and very much appreciated. I highly recommend checking them out!! Was real friendly and knew exactly what he was talking about with the mattresses definitely a go to spot !! Great prices, Friendly staff, very comfortable mattress. This is the place to go to purchase a mattress! I have never had a mattress as comfortable as the one I bought from these guys. The price was great and the option to walk out with the most comfiest mattress for only 40 bucks is a deal you cant get anywhere else. The manager was really friendly and honest and made me feel good about the investment. I spent over 1000 on my last mattress over 7 years ago and after getting home and sleeping in it, I hated it. So this time around I knew I had to take my time and get the perfect one, thanks to them i found it. To anyone looking for a new mattress I would highly recommend this place. My experience at Mattress by Appointment was wonderful. My daughter needed a new mattress so I made an appoinment with Mike. He was very helpful, friendly and professional. My daughter and I were so happy with the mattress that I bought two more mattresses for my kids! I'd definitely go back there if I need another mattress. Great mattresses and great price too! This place is amazing the service the quality the overall experience ! 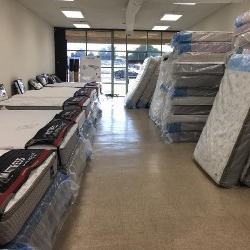 You will not be disappointed Mike helped us find the best mattress for our budget and needs he was a great reminder of what good customer service means . Definitely will be referring ones to him and in the future if I need to get another mattress then this is my go to place. The service and professionalism was fantastic. Very knowledgeable and fast. I bought a mattress from Mike about a week ago and will buy another from him at some point in the future. I tell anyone that needs a new mattress to give him a call. Got me a awesome deal . If any one looking For a nice confortable bed with a good price this is the place . I can honestly say that no one has better price for any size mattress like "Mattress by appt".... I have purchased 3 mattresses and I will go back for one more... I would recommend trying it... you wont regret it! Excellent pricess and Excellent service! Mike Is Awesome!. He approved me for a bed right away. Super easy to qualify. And great prices. Go to him you will not regret it.! Honestly the most pleasant experience I've had at a retail store. Mike is not only super helpful, but he is honest. No upsale, no BS. It is in a weird location, but I'd much rather go here than any major chain location. Thanks Mike! We had a wonderful experience with Mike and this location in Montclair, which offers superior deals & worth the drive. We highly recommend!